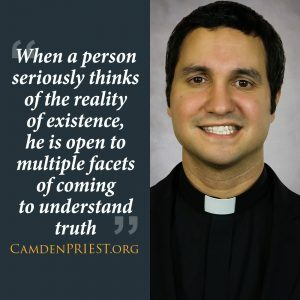 When a person seriously thinks of the reality of existence, he is open to multiple facets of coming to understand truth; such as literature, poetry, the scientific method, metaphors, similes, and of course the ancient teaching of parables. In the context of evolution, one might laugh at its first proposal – that all things came into being from some ‘primordial soup’ of living single cell organisms. For in understanding natural philosophy one comes to notice a human can only come into existence by the same ‘parent species’ which have the same genetic make-up. But after further reflection and serious study on the reality of how creatures evolve, there arises another factor which enters the scene; the reality of random mutation, survival of the fittest, and the ecosystem – which can cause new species to arrive into existence. So when we hear Genesis speak of the reality of man arriving from the dust and God breathing life into him, it is not so farfetched from the scientific explanation. For it is this poetic truth which at first sight seems unbelievable, but the more the human person is studied in depth, not simply as a collaboration of matter, but with an interior life – that loves and reasons in its existence – one can come to the conclusion of man’s transcendent nature. A creature not of mere matter, but of body and soul to which the Word of God can breathe life into its wounded and brokenness – a creature in need of redemption… For in Genesis we come to know we did not evolve for no purpose, void of meaning, or further, that our mother did not give birth to us simply as another creature in existence. We come to know we are not mere mortals that somehow developed a moral system to survive; but there is an interior depth called conscience, that correlates with the laws of morality and gave rise to them. There is something in persons which gives them a depth beyond every other fashioned bodily organism. 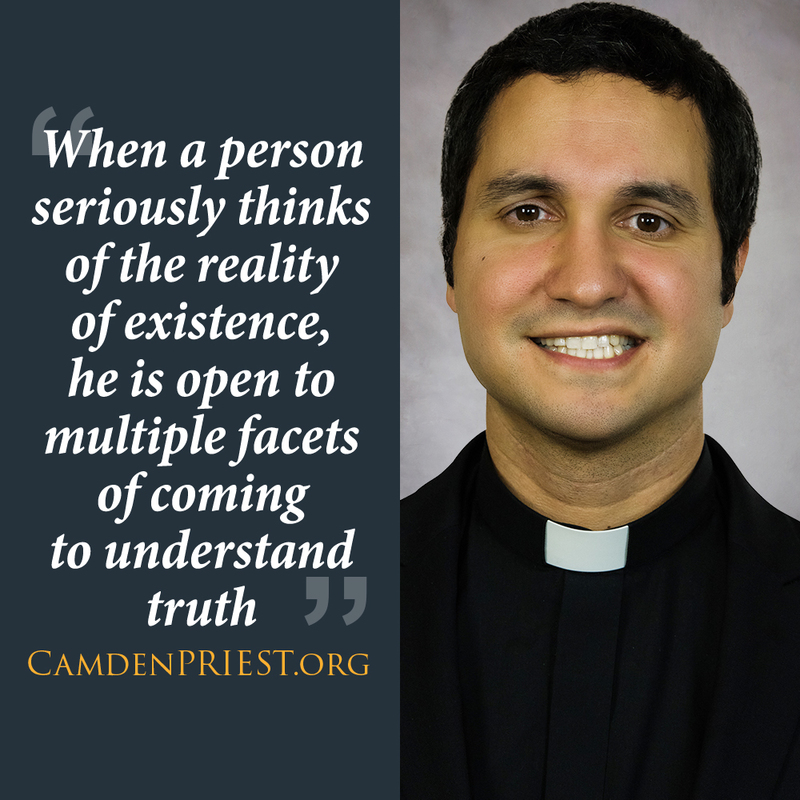 Paul Abbruscato is on Pastoral Year serving at Notre Dame de la Mer, Wildwood.